Why Vanessa Williams never got a “real job” – Live! Starring ... You! 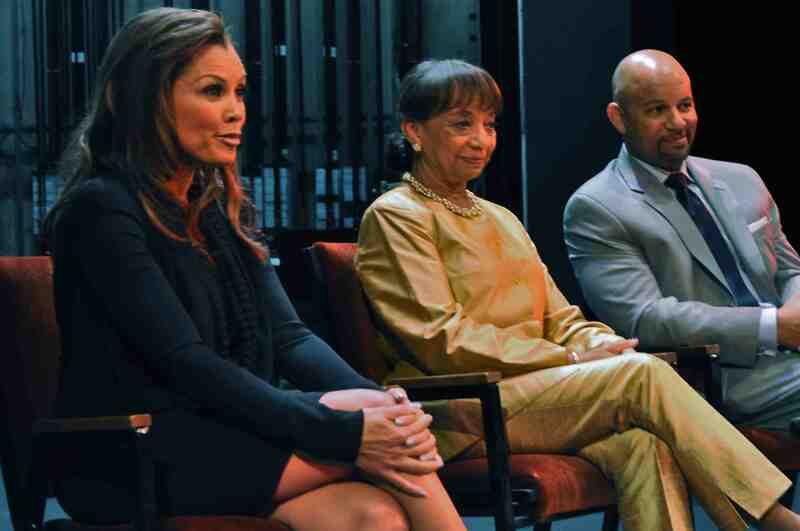 Actress and singer Vanessa Williams, left, with her mom, Helen Tinch Williams, and brother Chris Williams, who is also a noted actor. Every parent wants – or should want – their kids to dream big. You’ve got to think big to make it big, right? Honestly, there’s a big part of me that would be inclined to say the same thing to my own kids. When I met Vanessa and her mother, Helen Tinch Williams, and brother, the actor Chris Williams, we chatted about that choice – one that many parents would never make. Vanessa and Chris’ parents made sure they got music lessons, dance lessons, acting opportunities, and anything else they wanted or needed to pursue their dreams. That encouragement worked. Vanessa and Chris both went on to become acclaimed entertainers. Chris has appeared in dozens of movies; Vanessa is one of the most successful triple-threats of our time. Vanessa made it clear, though, that her parents’ support didn’t simply help her reach the top. it’s helped her survive the rigors of life in the spotlight. And we all know you don’t have to look far to find celebrities who crumbled with the world watching. “So many artists have parents and support people who said, ‘You’re wasting your time. We don’t believe in you,’” Vanessa told me. She explained that this lack of support is what creates the “misery and personal commotion” we see in so many celebrities.